Happy autumn day to you! 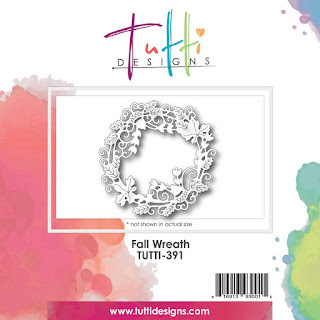 Autumn with you sharing an elegant fall card featuring our new Fall Wreath die. Our new Fall Collection is filled to the brim with beautiful die cut designs, and this die takes the cake! I utterly adore it and will be using it constantly. Here, I layered with various old designer papers and curled a stamped banner to overlay the wreath. A simple loopy bow finished it off. View our entire new Fall Release HERE today! Beautiful layering Autumn and I love how you curled the sentiment banner over this beautiful wreath! Awesome creation!